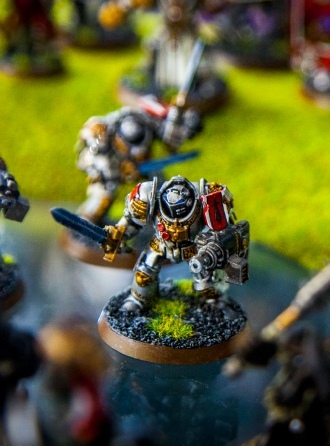 The game is played with 'regiments' of fantasy miniatures. It uses stock fantasy races such as humans, like Bretonnia, Elves, Dwarfs, Undead, Orcs and Goblins, Vampires, as well as some more unusual types such as Lizardmen, Skaven, etc. Each race has its own unique strengths and flaws; Wood Elves, for example, have the most powerful archers in the game but have poor overall defence and Bretonnia have the strongest cavalry but poor missile weapons because they only have a trebuchet and no cannons. 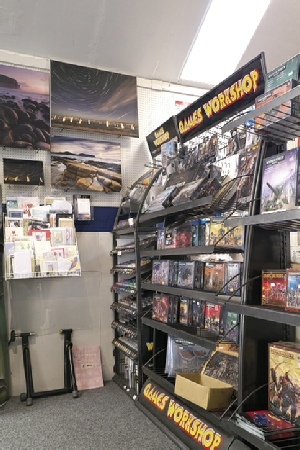 Come in and see our WARHAMMER stock, we have a good selection of figures, books and paints.